Regardless of the extent or the cause of the problem, there are several solutions that are promising in terms of effectiveness. Nonetheless, this does not mean that you should choose just any method. You need to proceed carefully to determine which one is most suitable for your situation. The first thing that you should do is to gauge the problem. Are you suffering from hair loss or hair fall? Is it just an occasional case of falling hair or does it happen often? Is the problem already too serious that it is a cause of major concern? Meanwhile, if you want to be sure and confident, one of the best things that can be done is to have a hair analysis done by an experienced professional. In this case, the doctor will take out a sample of your hair and have it tested under the microscope. Your scalp can also be examined for proper diagnosis. Another medical procedure that will help is to have your blood tested. You will be examined for specific conditions that can cause hair loss. Your family history and lifestyle, among others, will also be looked at. Once these tests are performed, the exact cause of hair loss can be pinpointed. From here, it will be easier to find the most suitable cure for the problem. When choosing an approach to treat hair loss, one must be cautious. For instance, you have to take a look at the ingredients that are used and make sure that they will not be toxic in any way. Otherwise, it can only make the problem worse. Also, read reviews and ask around to see what works for most people, which will most probably work in your situation as well. Here are hair growth products that are promising in terms of the effectiveness that they can deliver. There are some conditioners that can be partly attributed to the hair loss that you are experiencing. To add, there are also some that can help to address the problem, especially those that contain natural and organic ingredients that promote healthier scalp and hair. For the highest level of effectiveness, the use of hair growth conditioners should be done with a shampoo that is also effective in addressing the issue. Look for those that contain minoxidil, keratin, amino acids, and hyaluronic acid, among other key ingredients. This green conditioner is made from 99% plant-based ingredients, which can already provide you with enough reason to have it chosen above other products. It uses lavender oil, argan oil, and vanilla extracts, among other ingredients that have been clinically-proven to improve the health of your hair and prevent hair loss. It is also worth noting that it is made in a facility that is solar-powered, which shows the commitment of the manufacturer in making products that are eco-friendly. There are also many essential oils that can promise to be effective in hair loss. They do not only give the hair a natural shine and beauty, but they also trigger the growth while also nourishing the hair to become healthy. The high concentration of flavor and fragrance in essential oils are the ones that are responsible for their high level of effectiveness. While there are many oils that hold a lot of promise, some of the best include jojoba, castor, aloe vera, thyme, lavender, rosemary, green tea, and coconut. This oil is 100% organic, which means that you can expect it to be free from harsh chemicals that can possibly cause irritation and other unwanted side effects. It is made with the use of only premium castor seeds, which have been carefully-selected to be assured that they have the highest quality. 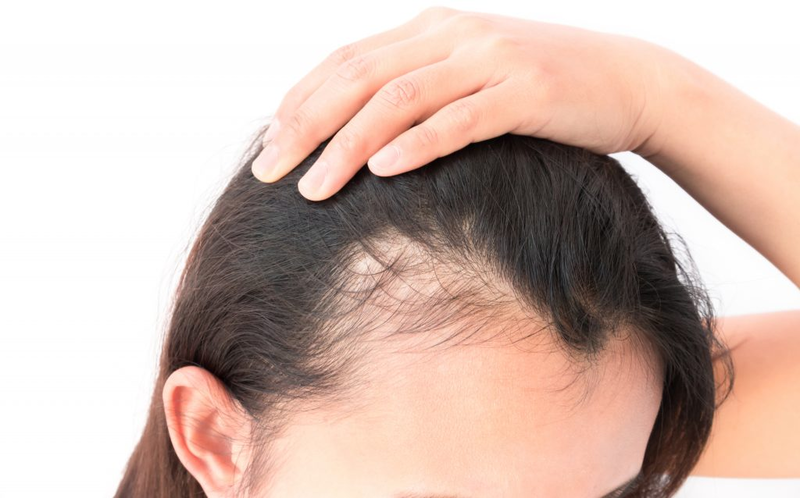 While it can be used for hair loss, it can be beneficial in more ways than one. It also helps in healing dry skin and in moisturizing dry scalp. Like other hair care products, serum helps in nourishing each strand from the hair to the tip. It makes the hair stronger, and hence, the user will be less prone to hair fall and hair loss. More than this, it also leaves the hair a healthy shine that makes it look more beautiful. Biotin and caffeine are two of the main ingredients that you can find in this serum, which are also mainly the ones that are responsible for triggering hair growth and preventing hair loss. It soothes the scalp and makes the hair healthier. Other ingredients that make this possible include aloe vera and calendula. To use this serum, all that you have to do is to apply the serum on your hair after a shower. It has a nourishing and protective formula that will keep dirt and environmental pollutants away from the hair.